The Batman Is a Reboot That Still Takes Place in the DCEU? There have been a ton of rumors surrounding the development of Matt Reeves' The Batman over the last several months. The main debate has shifted from whether or not Ben Affleck will star to whether or not the film will stay in the DCEU. Earlier in the week, it was reported that the DC project will stay out of the DCEU and be linked to the new Joker origin movie that Todd Phillips is currently developing, which will come out under a new banner. Now, it is being reported that the movie will be a reboot and will possibly stay within the DCEU. The new report comes from Mario-Francisco Robles, who is the Editor-in-Chief of Revenge of the Fans. He appeared on the El Fanboy Podcast and discussed a lot about the DCEU, including The Batman. According to Robles, Matt Reeves is rebooting with a younger version of the character and keeping it within the DCEU. The rumors of a reboot and a younger version of the Caped Crusader have been floating around for months, but it's only recently that the concerns of which banner the movie will come out under have been revealed. Robles had this to say. "Essentially, they want to develop this Batman movie as if it is a reboot. But they're not gonna make any overt statements about it. They're just gonna make a movie about a younger Batman. I believe it takes place in the past, which will create a backdoor for if they ever do want to cross-pollinate him with the other DC characters again." Looking at what Mario-Francisco Robles said and compared to the report from earlier in the week, it seems that they may have come from the same source. By DC not saying anything about The Batman, it looks like they're waiting to see how the next few DC-related projects do at the box office. The failure of Justice League put a big damper on the any of the projects that were in development at the time. Robles explains. "But they're going to leave a back door open so that, depending on how the next few DC movies do, from there, they can decide which continuity he's a part of and whether or not they're gonna push forward on the shared concept and do more crossover movies." This idea makes sense for Warner Bros. and DC Films for the future. While it looks like The Batman is being conceived to fit into the DCEU, it seems that the door will be open to possibly put the character into the standalone category, or even possibly end up in the same universe as the Joker origin movie. 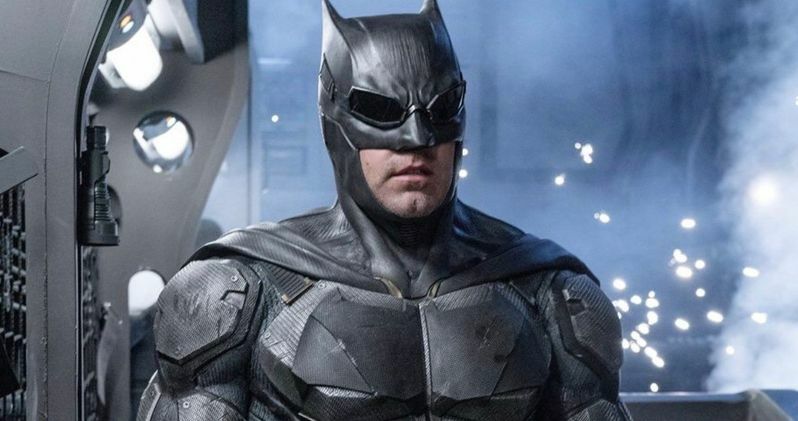 When originally asked about The Batman taking place in the DCEU last year, Matt Reeves said no, but quickly clarified his statement to say that it was going to be in the interconnected universe. This seems confusing from the outside, but Warner Bros. and DC Films have had a lot of behind-the-scenes changes over the last year. It appears that the studio is going for a different approach with the future of the DCEU and outside films then they ever have before. That being said, we could get some announcement about The Batman in a few weeks during San Diego Comic-Con. You can check out the rest of The Batman rumors over at the El Fanboy Podcast.